Curls, blunt, angular, pixie, the haircut styles change from season to season and women love to keep up with the latest trends. 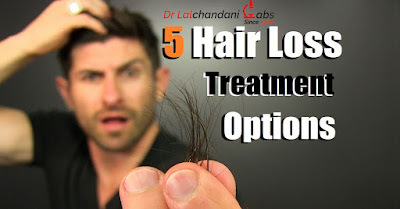 But what if you are plagued with hair loss woes? Well, if you are shedding about 50-100 strands a day, there is no need to hit the panic button. This is normal. Apparently, the old dead hair needs to fall out for new ones to grow. However, if your hair brush starts resembling a bush and you wake up each morning to find wisps of hair strewn all over your pillow it is serious cause for concern. Hair loss is a common problem these days. It could be attributed to genes, diet, underlying medical condition, hormonal imbalance, nutritional deficiency, air pollutants, infection, the list is endless. In fact, beauty procedures like hair colouring, ironing, bonding, perming and undue use of styling products can also trigger shedding. The good news is that we can fight this menace and arrest hair fall by some simple remedies. We list a few for you to try. the hair follicles, conditions the scalp, and helps strengthen the hair roots. A hair pack comprising of henna and curd is a great natural remedy to prevent hair fall. Leave the mask on for 40 minutes and then wash with water. While henna is very good for strengthening the hair roots the curd adds nourishment. Another off-the-shelf kitchen remedy for hair loss is fenugreek seeds that contain nicotinic acid and proteins. Soak a cup of fenugreek seeds in water overnight and grind them to make a smooth paste. Apply the concoction to your hair and leave for about 40 minutes. Rinse hair thoroughly with tepid water. Alternately, you can steep fenugreek seeds in your bottle of hair oil and leave in the sun for a day. Use the oil normally twice a week for about a month. You will notice a significant reduction in hair loss. Onion with high sulphur content is very effective in fighting hair fall. Grate an onion and squeeze out its juice. Apply the extract liberally to the scalp using cotton swap. Leave it for about 30 minutes and rinse out with a gentle cleanser. The mild alkaline property of Aloe Vera reportedly helps in replenishing the natural pH level of the scalp and promoting hair growth. Scrape out the pulp from the Aloe Vera leaf and apply it to the scalp and tresses. Wait for about an hour before washing hair with normal water. Egg white is a rich source of protein, vitamins and essential nutrients that rejuvenate and stimulate hair growth. Whisk two egg whites till you get a thick consistency. Apply the blend to your scalp and hair with a brush and leave it on for about 20 minutes. To prevent dripping cover your head with a shower cap. Rinse out the egg white with normal water and then use a mild shampoo. Apart from these natural procedures, add vitamin B, zinc, and iron supplements to your daily diet. your blood work in check for any deficiencies or aberrations, with the help of a reliable testing centre like Dr Lalchandani Labs. Also, keep yourself hydrated, treat your hair gently and try to relax. Now that you have an action plan, embark on your battle against hair fall. Trust us, you will soon be flaunting shinier, luscious and thicker tresses.